The Best Phones I’ve Ever Heard? I had the chance to hear a set of very high end phones lately. Were they the best I’ve ever heard? That depends. They’re certainly the best earphones I’ve ever heard – there’s not even a tiny iota of doubt in my mind in that regard. The best headphones I’ve had the pleasure of hearing were the Sennheiser HD800s (reviewed in full here), which are the German manufacturer’s absolute flagship reference headphones, so how can any in-ear phones even come close to matching them? Strange then that said in-ear phones are made by gadget maker Logitech but don’t worry, I havent lost the plot completely. The phones in question come from Ultimate Ears, a company that Logitech acquired and they’re the top of the pile UE18 Pro Custom monitors. At $2,695 all up (including custom molding and fitting), they match the HD800 price tag, while crushing the sticker price of just about every earphone in existence. Two thousand seven hundred bucks? What insanity could provoke mortal man to drop that kind of loot on earphones? They’re aimed at professional musicians for on-stage monitoring (musicians of some stature one assumes) but they’ve got an application for the cost no object audiophile who wants a special experience. Hell it’s easy to drop that kind of money on a set of interconnects, so perhaps the cost isn’t entirely outrageous. 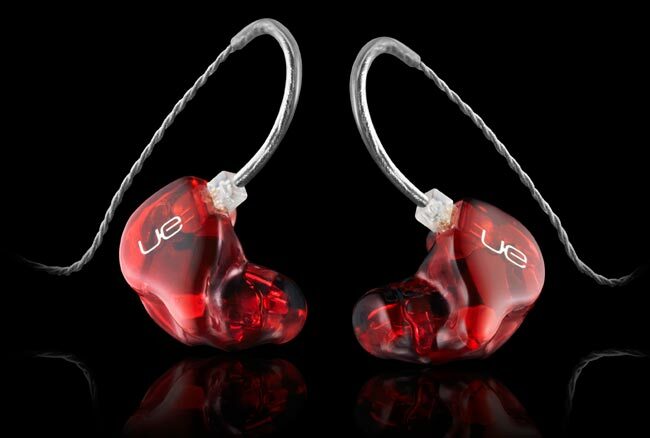 Consider this – the UE18s are hand built and custom fitted and tuned to the individual user. There are six drivers for each ear. 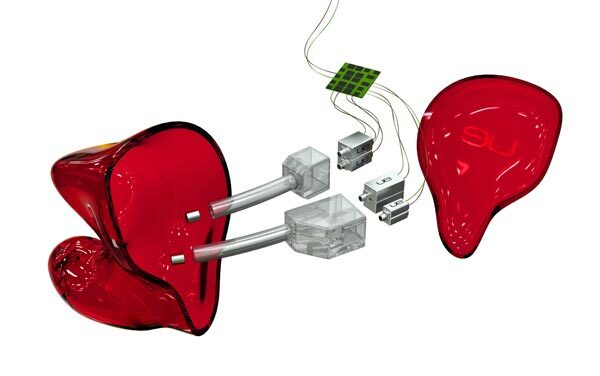 Yep you read that correctly – six tiny drivers per side. Without being able to compare the UE18s alongside a set of HD800s (or the top or the range Grados) it’s hard to judge exactly how good they are but in isolation, in the first minute, they just about took the top of my head off and let the light in, even driven by a basic Yamaha CD player and Cambridge Audio integrated amp. They’re way, way ahead of my Shure E4C and Ultimate Ears SuperFi 5 Pro phones, which admittedly sold for slightly under $500 when new. Even the Ultimate Ears TripleFi phones with their three drivers per side were nothing near as good as the UE18s (and they were very good indeed). The UE18s I heard were set up to accept the generic UE foam plugs, so I didn’t get the full benefit of having them custom fitted to my ears. Still, I don’t think I’ve ever experienced bass speed, weight and impact like this from anything bar the HD800s. Then there’s the seemingly limitless detail and ability to convey nuance – it really is a revelation that makes you realize how much information is buried in the music that most replay systems just can’t access. The micro and macro dynamics are light years ahead of speakers at any sane price, maybe any price. It’s hard to imagine being any more connected to the music. The UE18s can be driven by an iPod – good luck trying that with a good set of over the ear phones (headphone amp required) but I still want (need) to hear these things with a really good SACD player and a headphone amp, just to sate my own curiosity. So I’ll be begging for a long loan…watch this space.